To illuminate the party scene for clubbers and celebrate the global debut of Martell’s newest product, the Martell Non Chill Filtered (NCF), Pernod Ricard Singapore collaborated with Mediacorp OOH Media to light up a panel in Clarke Quay for #LightUpNCF. Known for the nightlife scene, Clarke Quay is a common gathering point for party-goers. Sharing the same target group as #LightUpNCF, Clarke Quay was identified as the ideal location to ignite the passion in high-energy clubbers from 18 – 25 who frequent night clubs near the area. 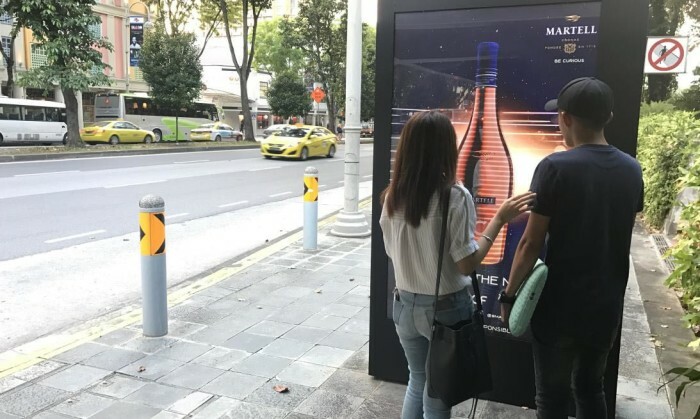 Located opposite Clarke Quay, the 6-sheet creative features a bottle of Martell NCF on a 6-sheet poster. To spice things up a little, LED lights are installed behind the silhouette of the bottle to place emphasis and reiterate the campaign’s main message: light up your life. Members of the public can activate the LED lights by pressing the customised Martell button on the right. Upon activation, the NCF bottle will be lighted up with ShiGGa Shay’s ‘In my Hand’ playing in the background. As the LED lights are sound sensitive, the amount of lights reflected on the bottle will be triggered accordingly to the soundwaves of the song. In addition to the 6-sheet creative, Pernod Ricard Singapore also bought into Mediacorp OOH Media’s 6 sheet network and a 4-prime at the Heeren. The locations were specially selected near popular youth hangouts. This campaign is ongoing until 1 March 2017. Netizens on Twitter have criticised L'Oreal for claiming to champion diversity, but firing Bergdorf for speaking out against syste..